Dnipro is a historic destination in Ukraine. With over 1 million residents, it is the fourth largest city in the country. Dnipro offers you the chance to explore its lush green spaces and its mix of modern culture and historic attractions. 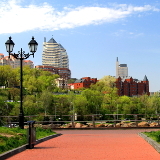 The destination’s top tourist attractions include Lazaria Hloby Park, Menorah Centre, and Dnipropetrovsk National University Botanic Garden. Get ready to explore this exceptional setting, because cheap flights to Dnipro are now available for a limited time! 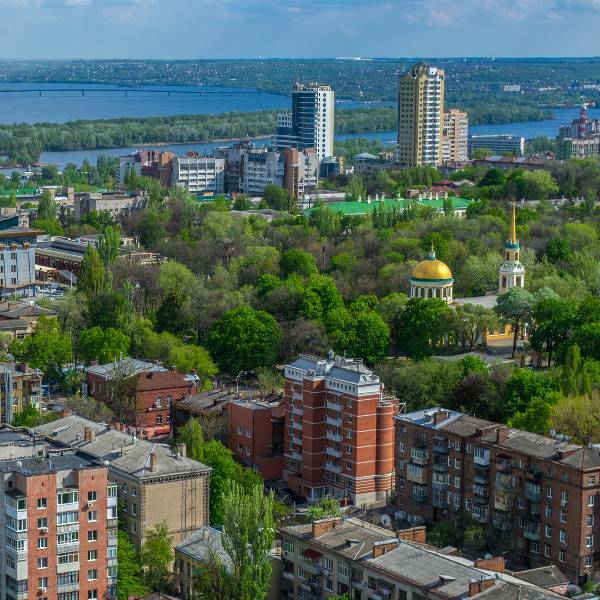 Dnipro is home to the Dnipropetrovsk International Airport (DNK), which is a 30-minute drive or a scenic 30-minute train ride from the city centre. Dnipro offers you the perfect setting for an unforgettable holiday stay, along the magnificent Dnipro River. 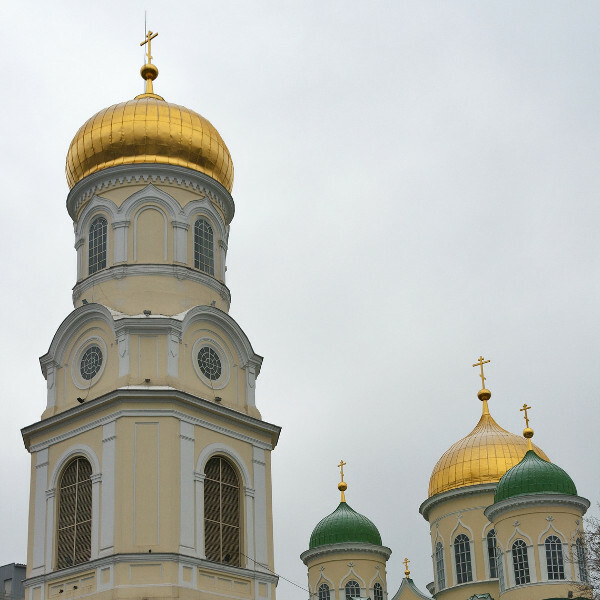 A variety of majestic cathedrals, monuments, buildings, and sites can be found throughout Dnipro. Dnipro only opened its doors to the world in 1990 when the Soviet Union was dissolved, making it a destination still to be discovered by much of the world. Dnipro experiences varying degrees of rain throughout the year. The summer season (June – August) has the lowest rainfall levels and offers temperatures around the high 20s and low 30s. This is the peak tourist season and you will find many of the tourist attractions to be overcrowded and the accommodation overpriced. The best time to visit is the late spring (April – May), when the temperatures start to warm up. With the summer heat still to come, there will be less tourists, and you will get more availability and cheaper hotel rates. Just remember to watch out for the rain. Make sure to pack in a raincoat or an umbrella. 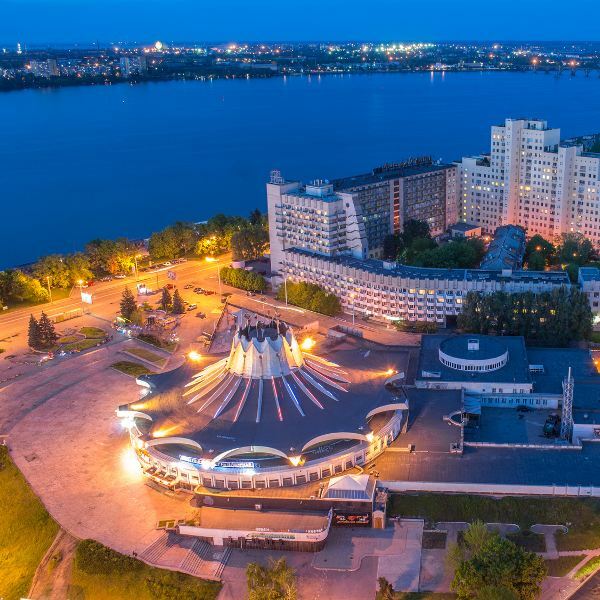 Dnipro, formerly known as Dnipropetrovsk (or Dnepropetrovsk to the locals) until May 2016, is the fourth largest city in Ukraine, with a long history as the main hub for the Soviet Union's arms, space and nuclear industries. Today, Dnipro offers a scenic location boasting a collection of green and luscious open spaces. The main street of the city, Marksa Prospekt, a broad boulevard stretching through the heart of this destination, is filled with a variety of shops and restaurants. Other attractions in Dnipro include the beautiful Holy Transfiguration Cathedral in October Square, the picturesque park at Monastic Island, and the monument to Taras Shevchenko. Compare several airlines and book your cheap flights to Dnipro online at Travelstart! The Centres for Disease Control recommend that travellers visit their doctor and get all the routine vaccinations four to six weeks before departing for Ukraine. Furthermore, you should guard against polio, hepatitis A, hepatitis B, and rabies. When going out at night, be careful around groups of drunken people, as many of them will pick a fight with you. Robbers are also a problem in Dnipro. Avoid areas such as Topol, Klochko, and Livoberezhnuyi. While Dnipro is not involved in the protests of 2014, make sure not to say anything against Ukraine or wear anything that supports Russia. 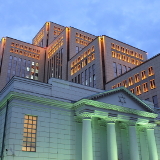 A variety of hotels are available throughout Dnipro. Some of the best features of these establishments include fireplaces, restaurants, spas, pools, free Wi-Fi, and free breakfast. The cost of staying at any of them ranges from around ₴ 400 to around ₴ 2000. The most common transport options around Dnipro include Marshrutkas, trolleybuses, and trams. The trams and trolleybuses cost ₴ 1.5 while Marshrutkas cost from ₴ 5 - ₴ 9. The Marshrutkas don’t work on a fixed schedule and you will need to flag down one. Take note that in most cases, passengers cram into Marshrutkas. It is common in Dnipro for men to give up their seats for women and the elderly. It’s best to follow this tradition as you will be harassed if you refuse.